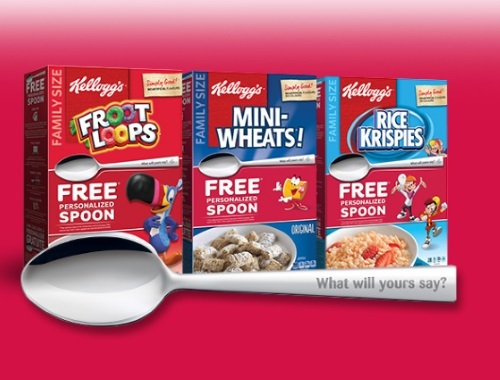 The Free Personalized Spoon from Kelloggs offer is back! Get a Free Personalized Spoon with the purchase of two specially-marked Kellogg’s cereals. Offer good while supplies last or until September 30, 2017, whichever comes first.